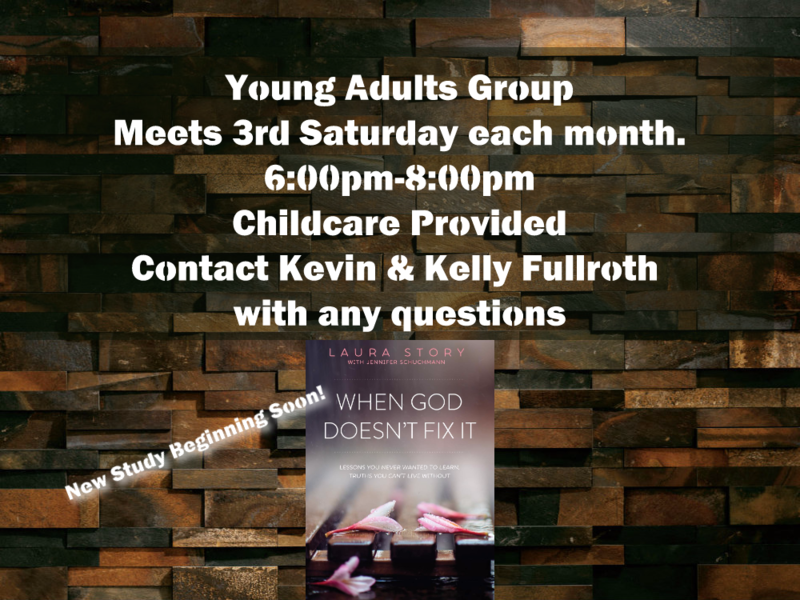 Our Young Adult Group meets in homes the third Saturday of each month. Our desire is to see young families connect and grow closer to Christ as they grow closer together. Click HERE to Contact Kevin & Kelly Fullroth for more information.